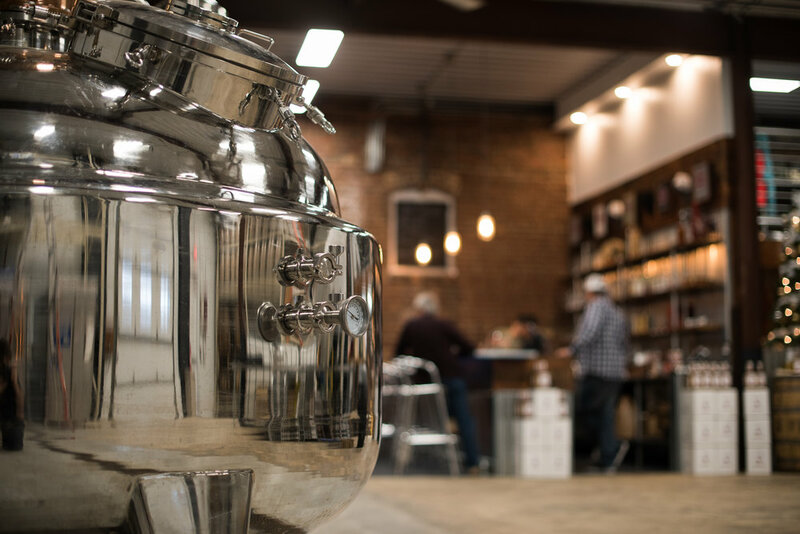 Located in the heart of prohibition-unfriendly Atlantic City, Little Water Distillery is a craft distillery owned and operated by brothers Mark and Eric Ganter, producing small batch rum, whiskey, vodka and other artisan spirits for thirsty souls in the Garden State and beyond. We also offer educational tours and tastings at our facility along with a variety of special events throughout the year. From the snow covered mountains of Appalachia to Atlantic City's white capped shores, this handcrafted spirit has made a unique journey to combine southern whiskey pedigree with a minimum of 24 months aging in once used Bourbon barrels. Through a collaboration with our partner and friends at Davis Valley Distillery in southwestern Virginia, we bring you Whitecap Whiskey. 60% Estate Grown Sweet Corn, 20% Rye, 20% Wheat. This Early-American inspired rum offers an exceptionally dry taste and immediately comes alive on the palate with subtle notes of vanilla, sugar cookie, citrus and spice. The finish is smooth, clean and flavorful. This handcrafted rum is the perfect compliment to liven up your favorite cocktail. 100% rich, golden brown and unsulphured natural sugar cane molasses. GMO free and of U.S. origin. This velvety smooth and creamy wheat vodka is Atlantic City’s own! Blended and bottled at Little Water Distillery with our region’s prized water drawn from the Kirkwood-Cohansey aquifer and then finished over local minerals, 48 Blocks Vodka delivers all the excitement and complexity its name implies! 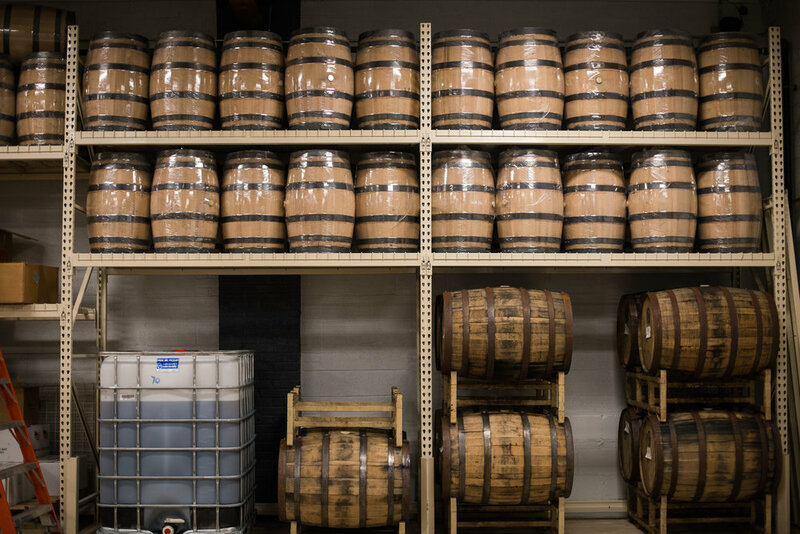 This Early-American inspired rum is handcrafted in Atlantic City, New Jersey in small batches before aging for a minimum of twelve months in premium new American white oak barrels. Sublte aromas of brown sugar and vanilla are followed by a pleasant oak finish. Enjoy straight, over ice, or in your favorite rum cocktail. 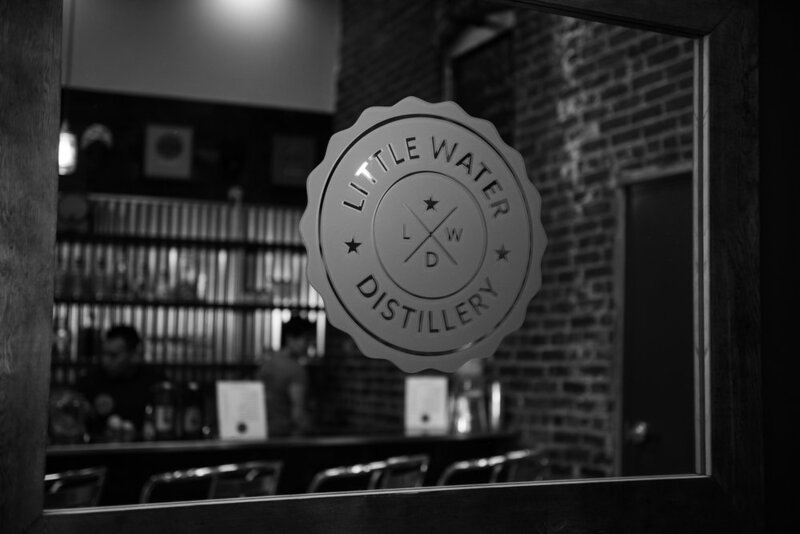 Join us at the Little Water Distillery Bar where we'll be rolling out new signature cocktails monthly, and giving tours of our facility. The tours, tastings, and cocktails are available . Tours and tastings cost just $8 per person and include a $5 credit towards any purchase. No need to schedule- just come on in during the hours above! Gift Cards Available by Clicking Here! Email us your favorite drink recipes with our product.